Boy oh boy: this winter is shaping up to be the stuff of (freezing) legend! We had our 20th winter frost this morning; this time last year we hadn’t even had one. It’s certainly proving useful in determining what’s truly frost-hardy… and what’s not. My silverbeet, kale and Brussels sprouts don’t even flinch but the giant mustard, Nicotiana sylvestris and seedling poppies are all laid flat by frost each time… only to pick their leaves up again when the ice thaws. Earlier this week one of my ‘The Fairy’ roses sent out a few new sprays of tiny pink blooms; the buds were dusted with ice crystals this morning. Jack Frost is also a damn effective composter. I didn’t need to clear out half my summer garden; it has simply turned to mush and slumped to soil level. On the plus side, all this winter chill means I should get a bumper crop of apricots, almonds, peaches and nectarines come summer! ← The sound of silence… and wow! 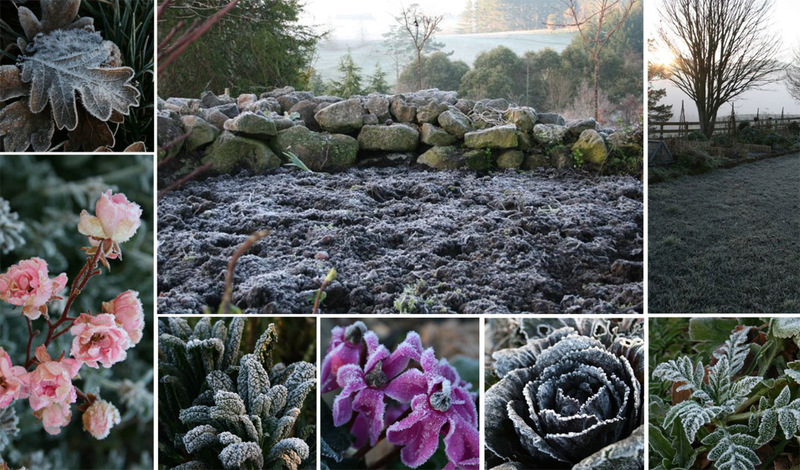 Brrrrrrrrrr, frost on the garden is pretty to look at, horrible to behold. Hardy gardeners in NZ. Pussies like us here in Queensland would never cope with those temperatures. What beautiful photos – you can see the frost and feel the chill. I love the thought of Jack Frost as a magic composter, nature is really very clever! We have to cover our lemons and limes from frost in the Wairarapa. Even though our trees are 10 years old the frost will still damage the leaves and rot the fruit.